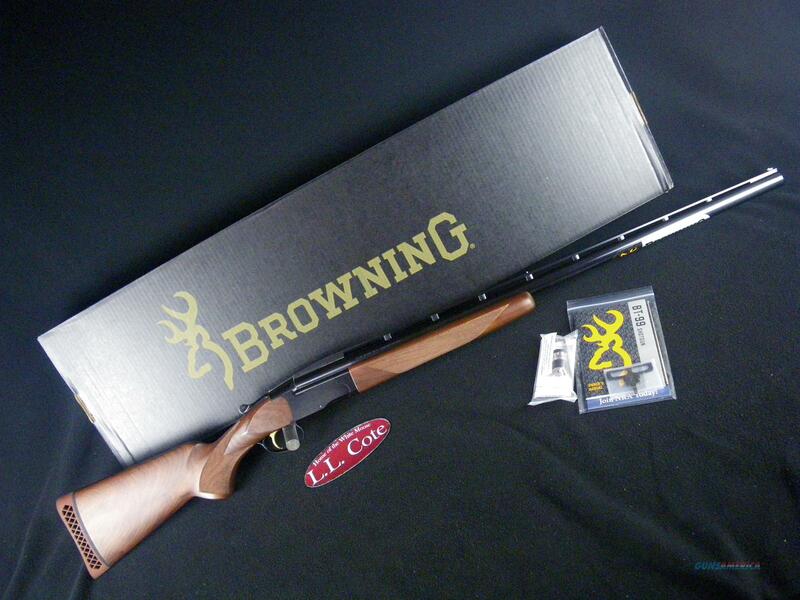 Description: You are bidding on a Browning BT-99 Micro Midas in 12ga with a 30" barrel and 2-3/4” chamber. Trap shooting specific single shot. Made for shooters with very short length of pull. Satin finished walnut plus all the proven BT-99 features included. Made to fit smaller shooters very well. The venerable BT-99 really has no competition at all. But even though you want one, you need one that fits. If you need a more compact version, this is it. Choice of shorter barrel lengths with a scaled down stock and forearm too. Performance can be found with the BT-99 like no other. And when your chosen sport is American singles and handicap trap, the revered Browning BT-99 wins the hearts and minds of many. There is not a finer example of simplicity, quality and clay-busting performance than the classic BT-99. Displayed images are stock photos. Any questions please feel free to ask (our phone number is in the additional information tab above).